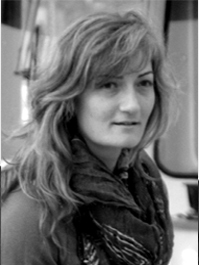 Angeliki Sivitanidou (1978) is a Lecturer at the School of Architecture, Engineering, Land and Environmental Sciences. She graduated from the University of North Carolina at Charlotte (USA) with a Bachelor of Arts and a Bachelor of Architecture, as well as a Master of Architecture and Environmental Design in 2001. Currently, she is a PhD student at the University of Kent, Canterbury, UK, conducting research on the Bioclimatism and Sustainability of Cypriot Traditional Farmhouses. Until 2009, she worked at architectural companies in the USA and United Kingdom as a chartered architect and a sustainability consultant (AIA, RIBA). She was involved in a variety of projects, from industrial facilities to university campuses, and from independent housing units to high-rise residential buildings. She was the team-leader of two sustainable university campuses in the Marzuq and Awbari regions of Libya, projects which were short-listed for the Aga Khan Award in 2010. Meanwhile, she was a member of BDP team, which won A’ Prize for the Masterplan of the new Cyprus University of Technology university campus (Phase 1 & 2) in Limassol, Cyprus. In 2009, as a member of the design team and a sustainability consultant for Fereos & Associates, she received A’ Prize for the New Community Centre of Deryneia. Later on, she worked as a chartered architect at Polytia –Armos, and taught at the School of Architecture at Frederick University. Ms. Sivitanidou was a member of the “Working Group” (2010-2012) that prepared, submitted and presented the candidacy application of Pafos for the title of “European Capital of Culture 2017”. She was also the creator of the “Cultural Barometer Project”, the main research tool of Pafos2017 Organization, used for the assessment and development of cultural events. Until 2014, she was a co-ordinator of the Infrastructure and Urban Development Volunteer Group, and co-authored all the relevant sections in the Candidacy Application. Due to her acquired experience and knowledge on cultural planning, she became a member of the Municipality Consultancy Committee, a citizen body advising the technical services and the city council on matters related to Pafos’ masterplan and infrastructure proposals (2012-2014). In 2015, together with eleven other volunteer architects and scientists, she received the Honorary Mention of the ETEK Engineering Awards 2015 for the design and implementation of the urban infrastructure for the city, in preparation for the Pafos2017 European Capital of Culture 2017. In 2017, she worked as an academic advisor and a co-ordinator on a number of ECoC projects, and co-curated the “Producing Lines: Architectural Projects for Pafos” exhibition. She is also a founding member of the Ex- Artis cultural movement.